Sega's Yakuza crime games are infected with zombies (and zombies from other games). 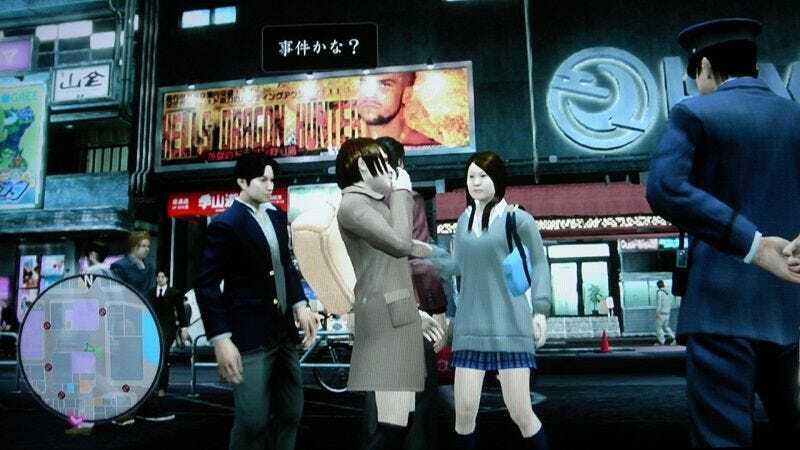 In the game's fictional Kamurocho, schoolgirls and business ladies are turning into the walking dead. But when you finally kill them, they don't exactly end up lady-like. Is Left 4 Dead Getting Ripped Off? Then again, trying to eat people isn't very lady-like, either. Funny, that. A whole bunch of games, Super Smash Bros. Brawl included, feature incredibly detailed underpants for in-game female characters. Yakuza: Of The End has dark voids, it seems — leading many Japanese gamers to wonder why.